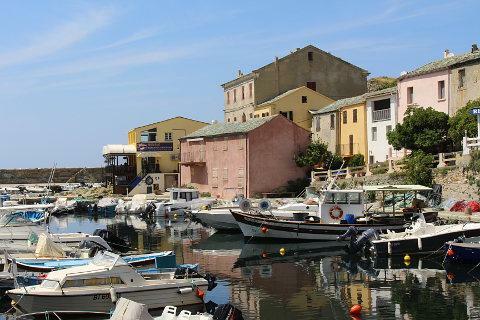 Centuri is a delightful little harbour town on the Cap Corse peninsula. It is on the western side of Cap Corse in between Pino and Ersa. 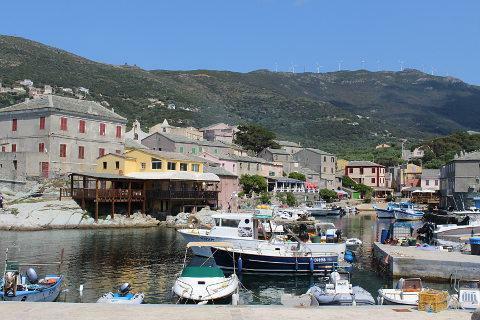 Centuri is one of the more popular and picturesque of the Cap Corse villages and should definitely be included in a tour of the peninsula. The car parking for Centuri is on the edge of town overlooking a group of rocks and an island in the sea. The bay curves round and it is a very pretty spot with a small pebbly beach. 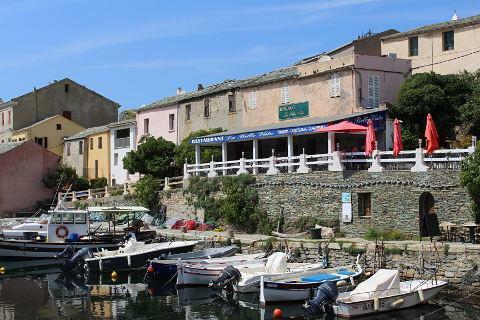 Continue on foot to the harbour on an inlet surrounded on 3 sides by the village and a great selection of cafes and restaurants all looking out onto the harbour. The combination of pastel coloured buildings, water and fishing boats makes this a very picturesque spot. We visited on a sunny Tuesday in May and it was pretty busy and so I imagine in June or July it is very popular. 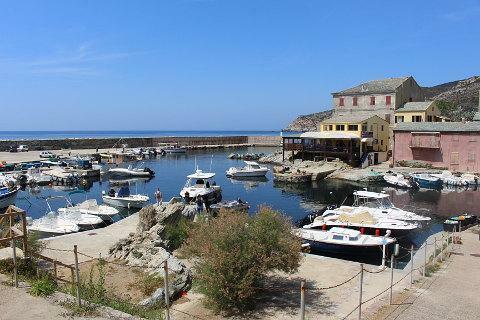 The port is very much a working port and is the busiest on Cap Corse. The daily fresh supplies of fish and lobster mean these restaurants are probably a great choice for a seafood lunch or dinner. There is also a good ice-cream bar where you can sit on the edge of the harbour and enjoy one of the delicious ice-creams. Above the village is the medieval looking Chateau de Bellavista. Also above the village is the pretty medieval hamlet of Canelle whose bell tower dominates the village. From here you can get excellent views over Centuri and the sea below. The famous (in these parts anyway) Cipriani family, mentioned by Dante, have their family tomb in Cipriani. 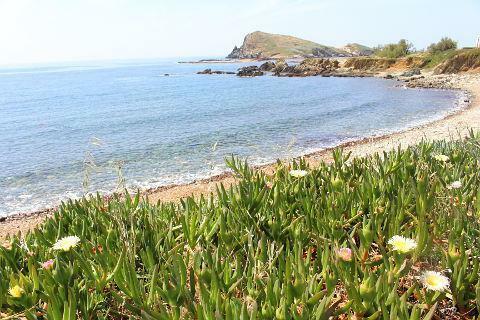 Centui is at the western edge of the 'Sentier des Douaniers', a coastal walk that you can start at Macinaggio. This is a walk of about 8 hours with views out over the sea and the islands. South of Centuri near to Luri is the Col de Sainte Lucie. From here you can do a half hour walk to the Tour de Sénèque, a 13th century tower, from where you have stunning views over both coasts of Cap Corse. Another of the highlights of Cap Corse, along with Centuri, is the lovely cliff top village of Nonza with its ruined castle and Genoese tower. If you are looking for a beach the best one in the area is Barcaggio beach to the north. This pretty beach often has cows doing a spot of sunbathing along with the tourists and locals!